Well, I guess it's possible there were some Thracians as well (and not northern Dacians - but I find it unlikely). Overall I think the Slavs who came were mixed with Scythians/Sarmatians and Avars. During the second half of the 7th century (650-700), Pervoundos, the ruler of the "Sklavinia" of the Rinhini, was accused of conspiracy against Salonica, and thus arrested, was imprisoned in Constantinople and eventually executed by the "Byzantines" in 674. Prior to his arrest, Pervoundos moved comfortably between his "Sklavinia" and Salonica, contacted and seemed to work closely with the Byzantine authorities, he certainly spoke Greek and showed he had the comfort of a ruler with deep roots in the area. The news of the execution of Pervoundos caused a rebellion of the Sklavenians around Salonica and especially of the Rinhini (between Salonica and Asprovalta), Strymonites (in the estuary of Strymonas) and Sagoudates (probably in the area between Salonica, Veria and Olympus). Although with a first view the revolutionaries are treated as Slavic populations, there are serious indications that they were Vlachs or at least a mixture of Vlachs and Slavs, judging at least from non-Slavic and probably Latin origin the name of the Pervoundos and the Latin name of the Sagoudates. 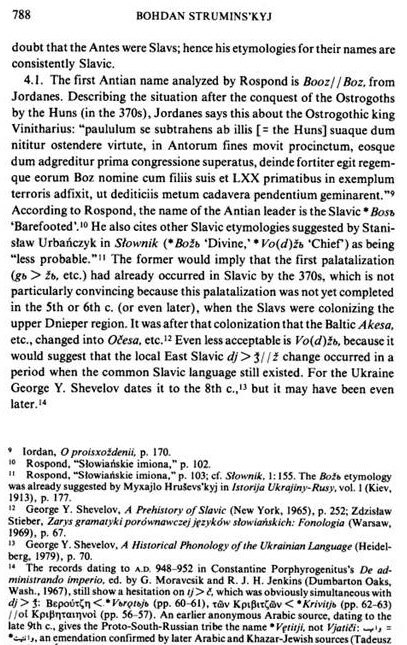 Perhaps these references to Rinhini and Sagoudates are some of the early boosters for the existence and survival in the Balkan territories of "Byzantium", and particularly around Salonica, of an older and indigenous Latin-speaking population, albeit in a mixture with Slavic and other populations, which gradually gave birth to the Vlachs. The guesswork for the survival of Latins among the populations around Salonica and collectively described as Sklavini-Slavs is reinforced by a story provided by the sources of the "Miracles of St. Demetrius". The anonymous writer, referring to the "Slavs" who had been defeated and dispersed by Justinian's army at the end of the 7th century, denotes their families and their homes with two Latin words -- the words "φαμίλια/familia" and "κάσα/casa", which was probably borrowed from their own language. Were the Antes north Pontic Goths? How about this my friends? 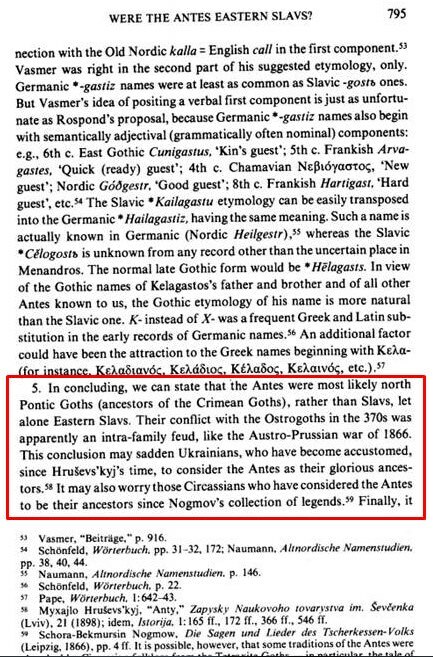 Dr. Bohdan Struminski has argued and concluded that the Antes were most likely north Pontic Goths (ancestors of the Crimean Goths), rather than Slavs, let alone Eastern Slavs. To use his concluding words: this conclusion may sadden some Macedonians, who have become accustomed to consider Antes as their glorious Slavic ancestors. Please let me know if you'd like to read all pages. I am only attaching a few pages here. 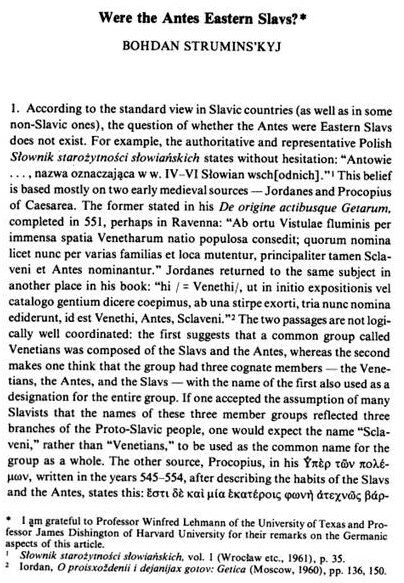 Re: Sklavi -- There was a BALTIC tribe called Skalvi or Skalvians. Unsure of any links with the Sklavi. The Scalovians (Lithuanian: Skalviai; German: Schalauer), also known as the Skalvians, Schalwen and Schalmen, were a Baltic tribe related to the Prussians. According to the Chronicon terrae Prussiae of Peter of Dusburg, the now extinct Scalovians inhabited the land of Scalovia south of the Curonians and Samogitians, by the lower Neman River ca. 1240. The meaning is uncertain: skalwa "splinter (living split off)" or skalauti "between waters". According to Prussian legends, the tribe's name is derived from one of the sons of King Widewuto named Schalauo. 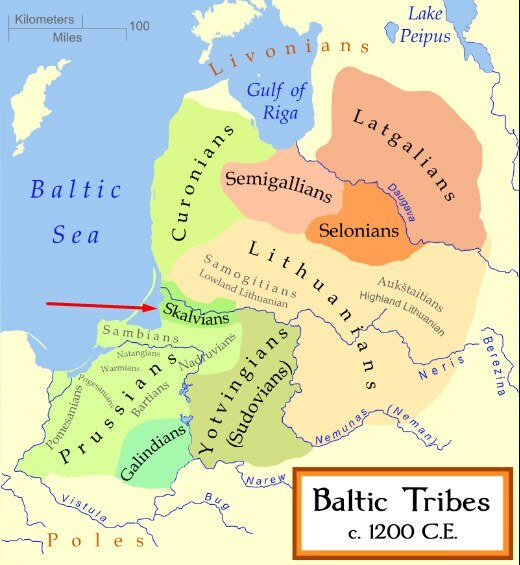 Furthermore (perhaps not related to this thread), the old/ancient Prussians were also a Baltic tribe. During the 13th century, the Old Prussians were conquered by the Teutonic Knights. The former German state of Prussia took its name from the Baltic Prussians, although it was led by Germans. The Teutonic Knights and their troops transferred Prussians from southern Prussia to northern Prussia. Many Old Prussians were also killed in crusades requested by Poland and the popes. Many were also assimilated and converted to Christianity. The old Prussian language was extinct by the 17th or early 18th century. Many Old Prussians emigrated due to Teutonic crusades. The Germans came, conquered the Prussians (many Prussians were exterminated, others assimilated, and some fled) and took the PRUSSIAN NAME almost immediately. I mean, talk about cultural appropriation. 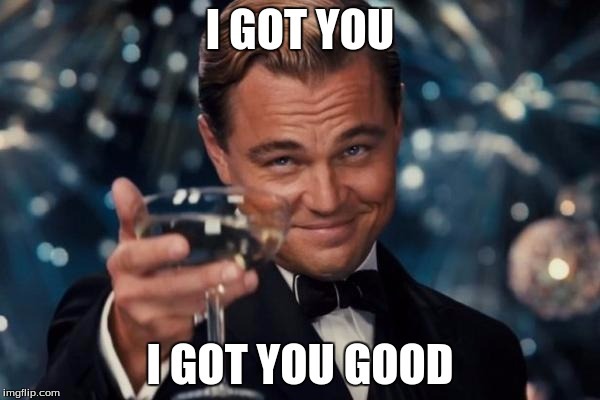 Last edited by Carlin15; 10-07-2018 at 01:48 AM. Brsjaci, Mijaci, Mariovci, Šopi, Pčinci, Vrbanci, Kardalinja and Svenevci. Slavo-Macedonian General History? "Problematic" terminology. Problematic if that term was used to describe Macedonians today. 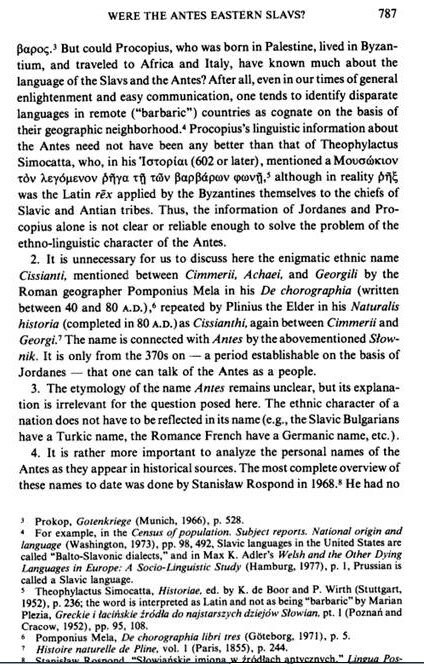 Not so problematic almost 150 years ago when used by a person who was in the process of studying the history of his people, who considered Alexander the Great an ancestor of his and who stated his language (which he calls Macedonian or Slavo-Macedonian interchangeably) was the closest to the Church Slavonic texts. Unlike the maggots who denigrate our history, his intention with the use of that term was to attach historical significance to his people. Something else which is no longer problematic is the previously ambiguous stance you took on this forum with regard to this issue. I am actually delighted that you are now on a crusade to smear Macedonians of today with that historical term, absent context, like we haven't discussed its application and significance throughout history thousands of times here already. I like to know what kind of people I am dealing with. Now I know. The only surprise here is that it took you so long to come out with it so overtly. But not to worry, all will be responded to. All will be concluded. Then you can either accept it or not.